The 51 returning players are all officially in the money, and guaranteed at least $800, with first place taking home $30,700. 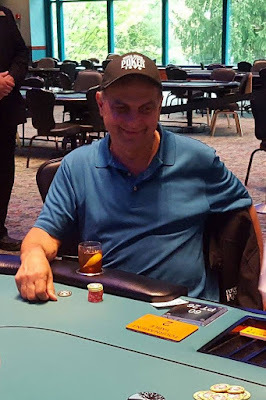 There were a total of 118 entries in the final flight of the $400 No-Limit Hold'em Re-Entry Event #8. The field will play down to 15 players before bagging and tagging later this evening . Those 15 players will join the 15 players that advanced in Flight A, the 12 that advanced in Flight B, and the 9 that advanced in Flight C, and will play Day 2 on Monday May 15th at 12:00pm. All players that make Day 2 will return in the money, and any player that bags in multiple flights will take home $800 for each additional stack they bag, with only their largest stack advancing to Day 2. 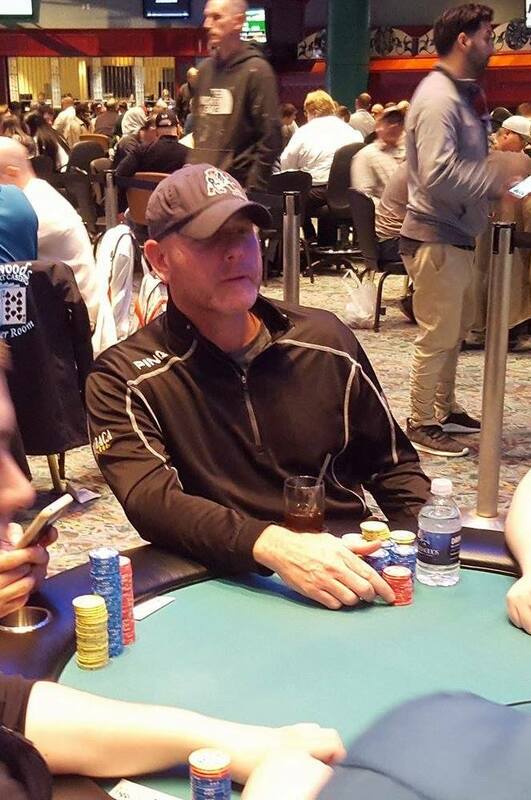 The money bubble has burst, and the final nine players are bagging up their chips for the night. A full list of advancing players will be posted within the next half hour. There are ten players remaining, with nine of them making the money. The hand for hand portion of play will continue until we have lost one player. The final nine players will then bag up for the night, and return to play Day 2 tomorrow (Monday May 15th) at 12:00 noon. The field continues to grow, and many new players have taken their seats in the final of four starting flights. 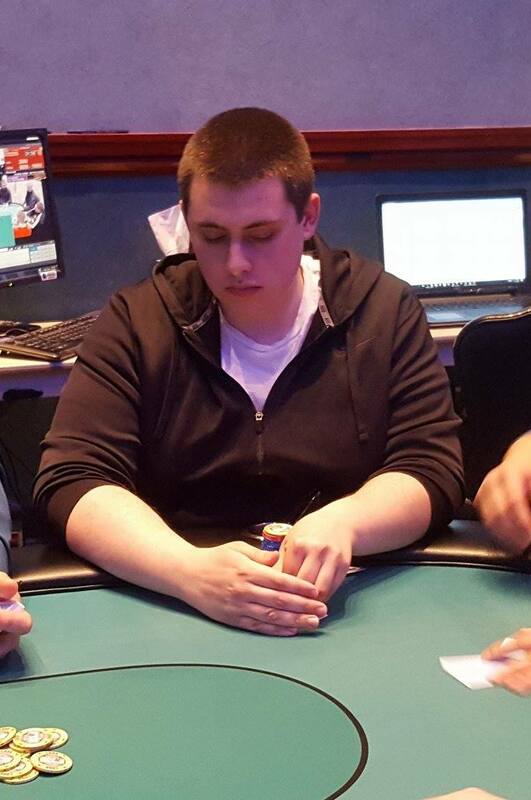 In a hand that extended a few minutes into the break, Sean Carlson was eliminated by Andy Kaplan. The board read 8♦4♠3♥6♥. Carlson had bet 11,000 from middle position, and Kaplan shoved all in for around 75,000, having Carlson covered by about 15,000. Carlson went deep into the tank. "Clock," Kaplan said, "Sorry man, I just have to piss." The floor is called over and Carlson is given 60 seconds to act or his hand would be declared dead. As the floor starts counting down, "Ten, nine, eight, seven, six, five," Carlson moves a stack of chips forward to call. 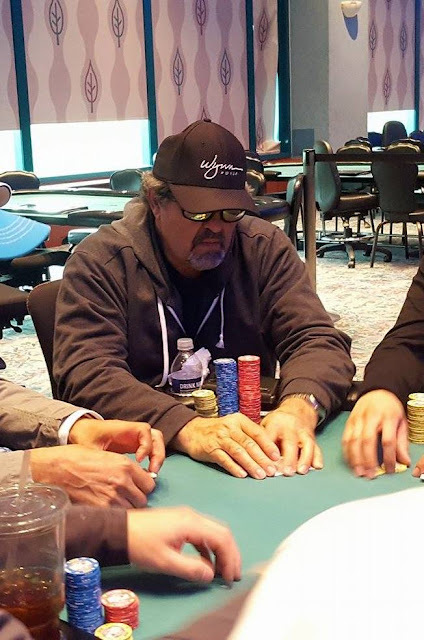 "Good call," Kaplan says as he tables A♥4♥ for a pair of fours, and a flush draw. Carlson is in the lead holding 10♣10♦, but the A♠ comes on the river, giving Kaplan two pair to win the hand, and Carlson is eliminated six away from the money. Any Kaplan shoves all in for 16,300 in the cutoff. The button folds, the small blind reshoves for less (12,000), and Justin Lynn also shoves all in from the big blind, having both players covered. 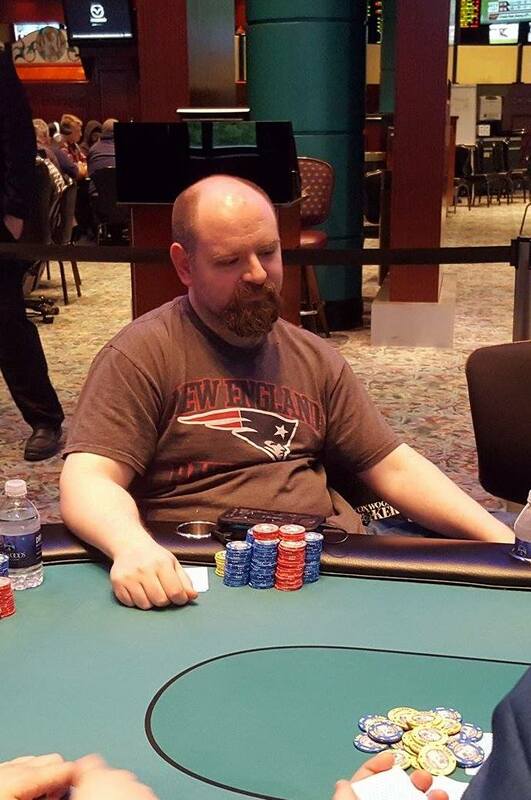 The flop comes A♣J♦5♣ leaving Lynn's kings in the lead, but giving Kaplan flush and straight outs. The 2♦ turn does not change the hand, but the 2♣ on the river gives Kaplan a flush to nearly triple up. 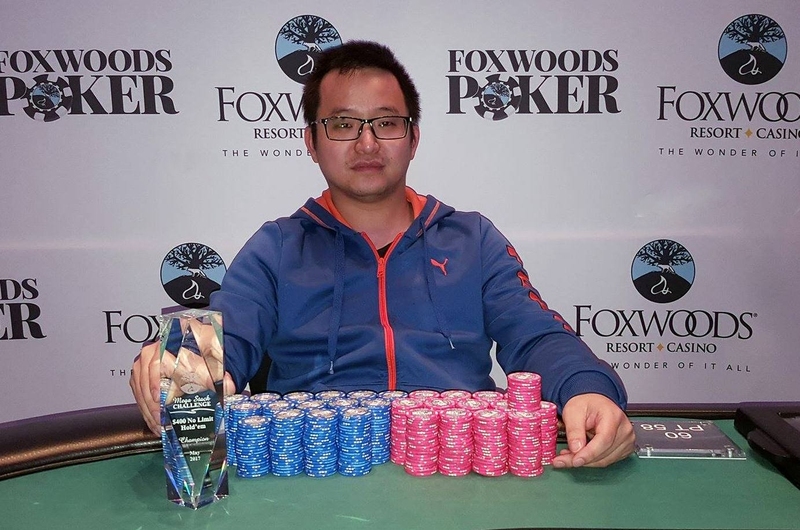 There were a total of 73 entries in the third flight of the $400 No-Limit Hold'em Re-Entry Event #8. The field will play down to the final 9 players before bagging and tagging later this evening . Those 9 players will join the 15 players that advanced in Flight A, the 12 that advanced in Flight B, and any that advance in tonight's Flight D, and will play Day 2 on Monday May 15th at 12:00pm. All players that make Day 2 will return in the money, and any player that bags in multiple flights will take home $800 for each additional stack they bag, with only their largest stack advancing to Day 2. Sherwin Agard is feeling confident after just winning the last hand. In this hand, action folds to him in the hijack and Agard says, "You know what? I am going to win this hand without even looking. I raise to 250." 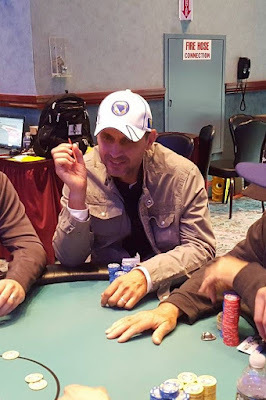 Raj Patel calls on the button and Michael Ferraro calls in the big blind. The flop comes Q♥4♠3♦. 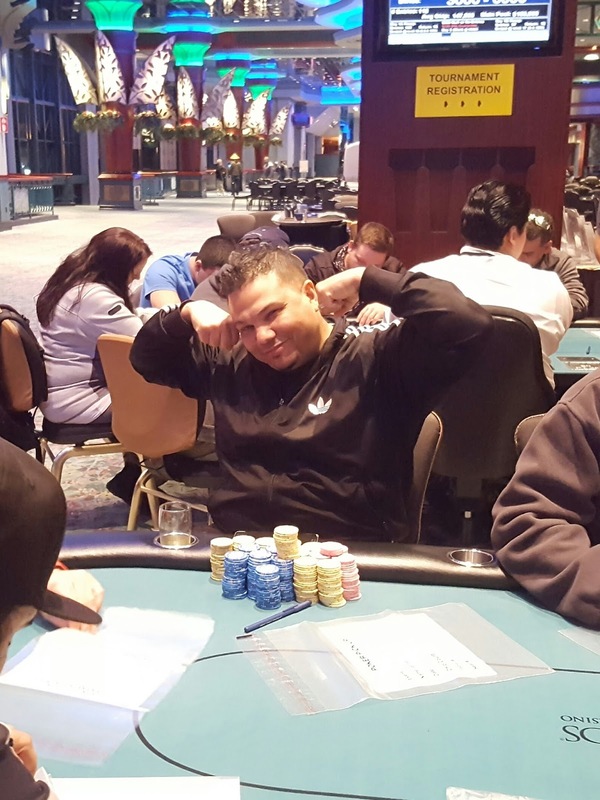 Ferraro checks, Agard bets 300 (still without looking), Patel folds, and Ferraro calls. The turn is the 2♥. Ferraro checks again, and Agard says, "See, I am gonna win this hand without even looking. I bet 800," and he throws out his bet of 800. Once again, Ferraro calls. The river is the A♥. This time Ferraro quickly announces that he is all in, and Agard is caught off guard. "I guess I better check my cards now," Agard says. "Noooo...you said you weren't going to look," Ferraro says. 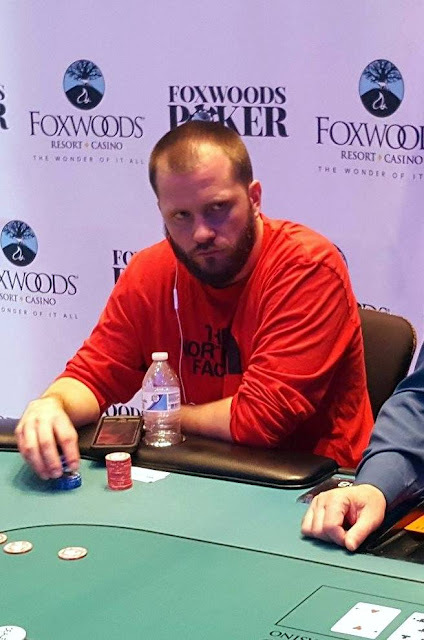 Agard looks at his first card, then looks at his second card, and says, "Alright, I guess I have to fold," as he tables K♥3♥ for the nut flush. Ferraro says, "You folded that? 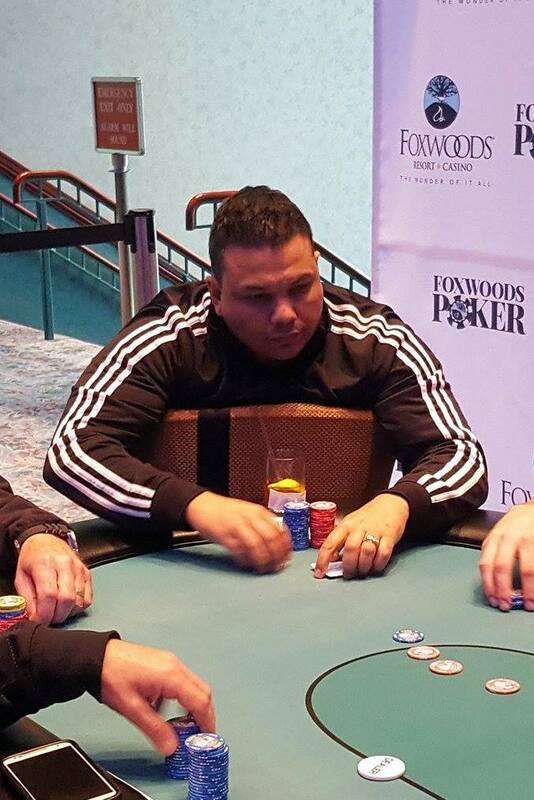 You just folded the nuts," as Ferraro tables an inferior flush, 9♥6♥. "What? NO!" Agard shouts, "I didn't even see that. I tabled my hand." 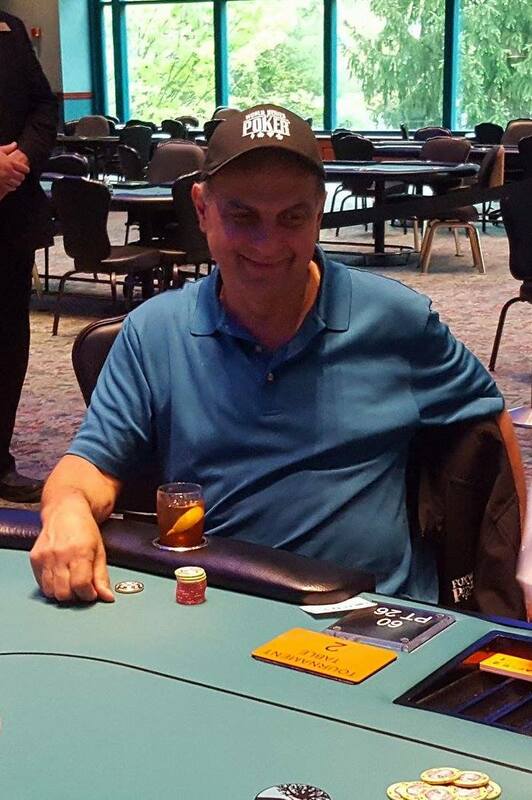 The floor is called over and since Agard verbally announced that he folded prior to tabling his hand, the hand is ruled dead, and the pot is awarded to Ferraro. "What an idiot," Raj Patel says as the chips are passed over to Ferraro, "Please write that, 'What an idiot.'" 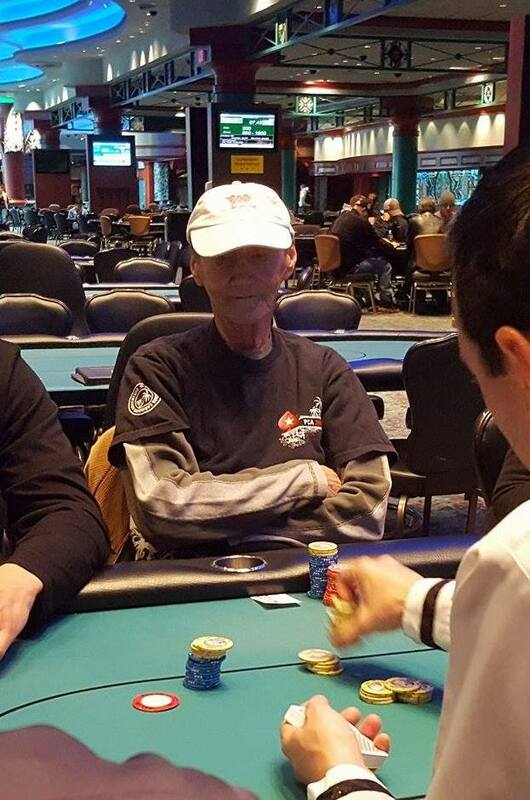 There are already 57 entries and climbing in the final Flight D of Event #8. The players are trickling in at a steady pace, and we are on pace for a great showing to finish up the final flight of this $150,000 guarantee event! Justin Lynn raises to 4,000 in early position, and the player to his direct left calls. It folds to Sean Carlson in middle position who raises to 11,000. It folds back around to the original raiser who pauses for a few moments before hesitantly folding, and the player to his left quickly calls. 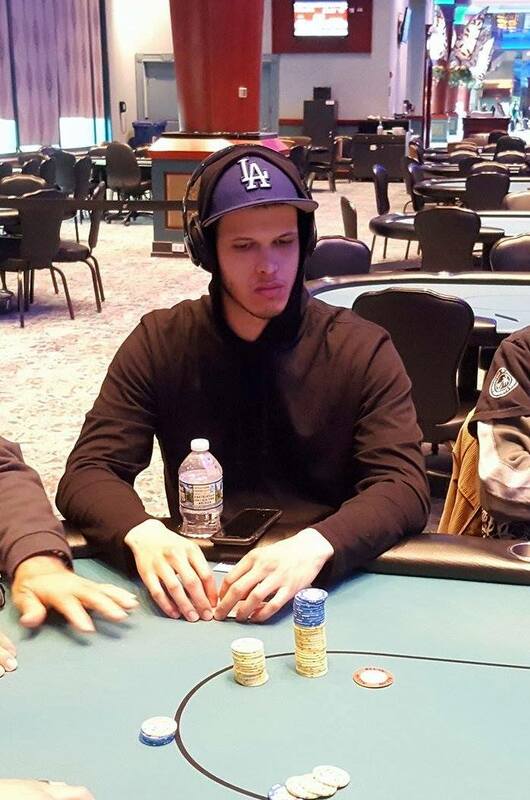 Carlson is away ahead holding A♥A♦ against his opponent's J♣J♠. 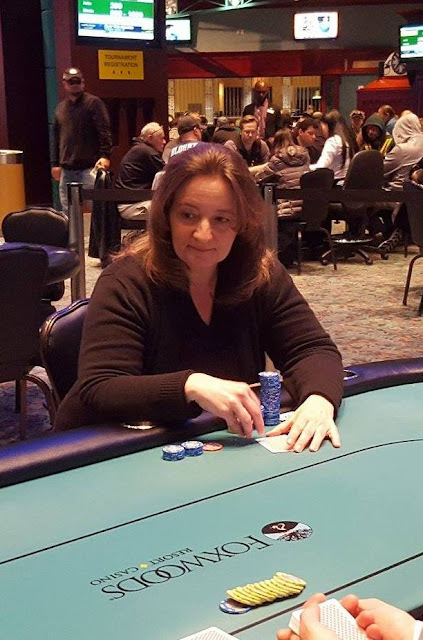 The flop comes Q♠7♦3♦, and Lynn says, "Oh man, I folded pocket queens." 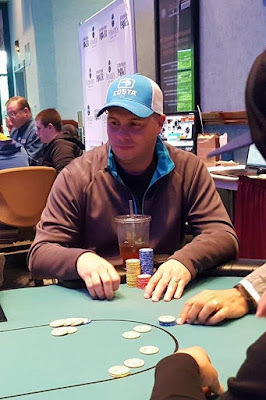 The 7♣ turn and 8♦ river are safe for Carlson, and he doubles up. As the chips are being counted down from Carlson's opponent's stack, the table talks about Lynn's fold, all agreeing that it was, "Absolutely the right fold," despite the fact that he would have won the hand. James Magner limps in from early position, and Kevin Kernan shoves all in for 10,800 from middle position. It folds to John Caputo on the button who raises by throwing out a stack of blue chips totaling around 50,000. It folds back to Magner who opts to fold, and the two players table their hands. The board runs out K♦K♠7♣2♣8♥, awarding Kernan a double up. There were a total of 97 entries in the second flight of the $400 No-Limit Hold'em Re-Entry Event #8. The field will play down to the final 12 players before bagging and tagging later tonight. Those 12 players will join the 15 players that advanced in this morning's Flight A, along with any that advance in Flights C and D, to play Day 2 on Monday May 15th at 12:00pm. All players that make Day 2 will return in the money, and any player that bags in multiple flights will take home $800 for each additional stack they bag, with only their largest stack advancing to Day 2.